Hot dogs, chips, and drinks are provided! Donations are appreciated to help offset our costs for the Coppell Cowboys 12U Select Red and Black teams to go to Cooperstown this summer! 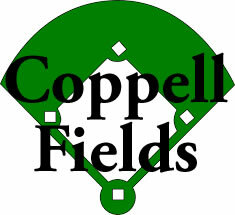 Coppell Baseball Picture Days are scheduled for Sunday 4/7/19 and Sunday 4/14/19. All pictures will be taken at MacArthur Park in Coppell. Please use the link below to SCHEDULE YOUR PICTURE TIME. COACHES ONLY: Please use links below to schedule a picture time for your team. PARENTS ONLY: Place an Order or Register Online using the link below prior to picture day. You will be glad you did. CBA Board Meeting Dates listed below. Meeting time is typically 7pm, location conference room at Wagon Wheel Concession stand, barn. These meetings are for CBA board members only, Thank you. Attached are the links to the post season tournament brackets. Tournament Begins on May 11th. Good Luck!!! Build a Team and Buddy Forms due 1/29. Last day for Refunds 2/9 less the $20 refund fee. No refunds after 2/9. Spring rec. games will begin 3/30. The decision to start playing youth baseball can be an exciting time. It can also be confusing with a lot of questions and concerns. Let’s take a look at some Baseball Parenting Tips that will answer a lot of the basics of becoming a baseball parent!